This modern building is the home of the new Design Museum of Barcelona www.museudeldisseny.cat. 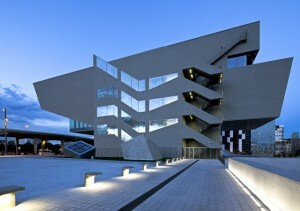 Inaugurated in 2012, its auditorium will host the main working sessions and exhibitions of the 47th Congress of the Academy. 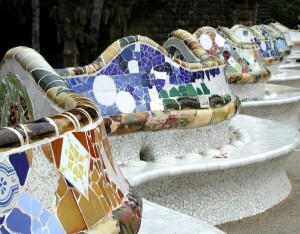 Located in Plaça de les Glòries, next to the Torre Agbar (Jean Nouvel architect) and the new site of the Encants flea market, the Design Museum of Barcelona integrates the collections of the Museum of Decorative Arts, the Museum of Ceramics, the Textile and Clothing Museum and the Cabinet of Graphic Arts. The museum opened its doors to the public in late 2014. 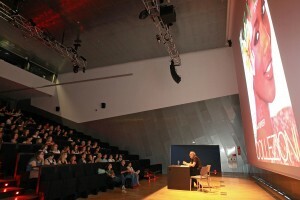 The auditorium of Design Hub Barcelona has a capacity of more than 300 people and features all the technology that a modern facility of this type can have, including projection and audio systems, and simultaneous translation booths. In addition, the first rows of seats are equipped with connections for computers. Its foyer can be used for coffee breaks in addition to serving as a space for small-scale presentations. The exhibition halls on the building’s lower floors will house three of the Congress’ main shows: the AIC member exhibition, a major exhibition on ceramics in architecture in the Mediterranean area and the exhibition by Ceràmica Cumella. 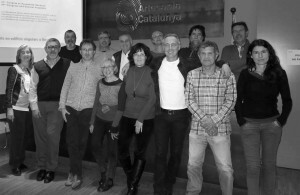 The 47th IAC Congress, which will be held in Barcelona from 12 to 16 September 2016, is conceived as a meeting place for discussion and study for about 300 participants from around the world.